For I know the plans I have for you,” says the LORD. “They are plans for good and not for disaster, to give you a future and a hope,” Jeremiah 29:11. And we know that in all things God works for the good of those who love Him, who have been called according to His purpose, Romans 8:28. Have you ever asked God for something and His answer did not seem to match your request? I have numerous times. This year I asked God for a year free of trauma, people close to me dying, and to save more money. It’s February 2nd and in the past week, I have been a car accident where my car was totaled, my aunt died, and I have another family member in critical condition in the hospital. I would have paid off my car next week. I would have had no car payment and been eligible for overtime. Since I was off due to the accident, the overtime is gone and if you’re working you know most people are making less money this year due to the social security tax in the USA going from 4.2 to 6.2 percent. So, the saving money part isn’t going the way I would like at the moment. Let’s get to the good part of the story. What has God done the past week? Well, I suffered minor injuries from the accident, and I could have been killed or hospitalized. I missed landing in a frozen pond by a few feet. I was able to turn to miss hitting a utility pole head on. A friend came to be with me and help me the day of. The tow was free. Everything I have needed has been provided. Every day my pain is less and less. Every day I feel God’s love in a deeper way. I have not found a car replacement, but I am trusting God to do something great. I trust God even more with my life. I had no control over what happened last Friday. I simply had to trust God. I have seen in a greater capacity what God can do when we rely fully on Him, trust Him, believe Him, and seek Him. He is good. I grieve for any person who leaves this world without knowing God. In my mind, that is the worst case scenario. For my family members who know Jesus and leave this world for the next, I can rejoice. They were not healed here, but they have their complete healing in eternity. No pain, no sorrow, no weeping, no hurt, and bliss in the full presence of God. It hurts to lose someone we care for. It’s challenging to see any blessing in loss. I am not here to state we should throw a party or not grieve. Mourning is part of life. 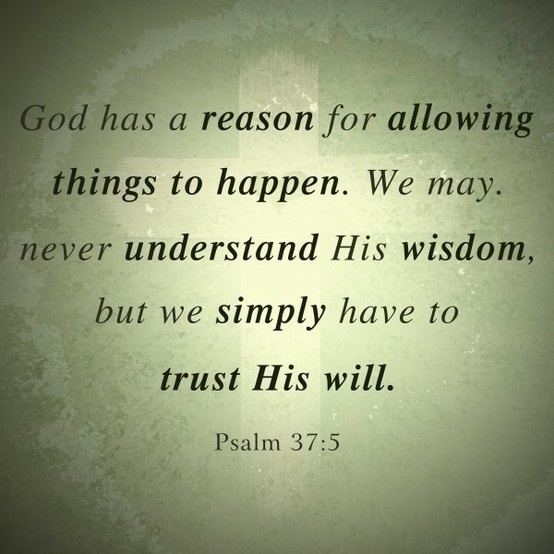 What I am saying is that God has a reason for allowing certain things to happen that we may never understand in this life. When my mum died. I worshiped through abundant tears. It hurt me deeply, and I still have moments of sorrow. I could not understand why God would take her home. Why in this case He chose to not bring complete healing this side of eternity. I recall though sitting with her the week before she died. She said to me, “I am going home.” I responded, “No that’s not true, you’re getting better.” She replied,” No, I am going home. I have done everything God called me to do and now it’s time to go home.” She had asked God to take her home when she completed what she was placed on earth to do. She asked God to take her home if she were not going to be completely healed and a burden to others. God honored her prayers not ours. When God’s answer does not seem to match our prayers, we can trust in His infinite wisdom, His unfailing love, and His perfect will. So, my dear friends, if God’s answer doesn’t match your prayers, trust Him. I can say that because I have to trust Him every day. 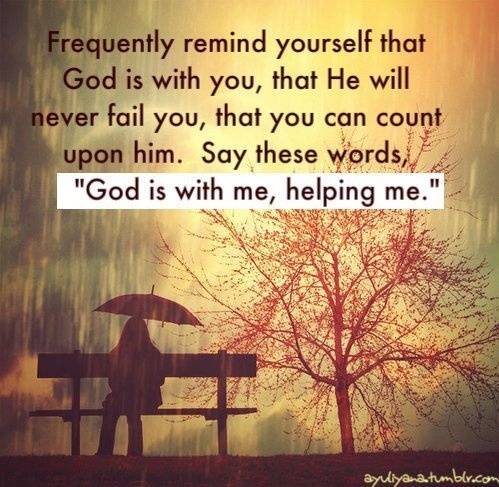 I have to lean on Him as my life depends on Him. I am young person who feels like I have lived a thousand years. But I would not trade my experiences and hard times for they have taught me so much about the love, provision, care, comfort, friendship, and beauty of God. I dare not glory in hardships, I delight in God who makes all things beautiful in His time. He gives us beauty for ashes, joy for mourning, and peace for turmoil. These momentary afflictions are nothing compared to His love. As long as God is here, we have a hope that will not disappoint. Hang in there! Keep seeking His face. He loves you deeply! Lastly, I found this online and it brought great comfort. You are in my thoughts and prayers today friends…You are deeply loved. Erin, I’m so glad that God’s hand of protection was upon you. He protected you because your work here on earth is not done. You are ministering to so many people. I thank God for you and your ministry of love. What an encouragement. Thank you. God bless you! May your day overflow with the love, peace, and joy of Jesus! God bless you! God has amazing plans for your life. Plans to prosper you, give you a hope and a blessed future (Jer 29:11).